Is there anything more romantic than candlelight? Well, yes, surely there is. But that warming flicker, the unsure shadows, the way it makes anybody’s face look beautiful…candlelight is pretty darn good, still. 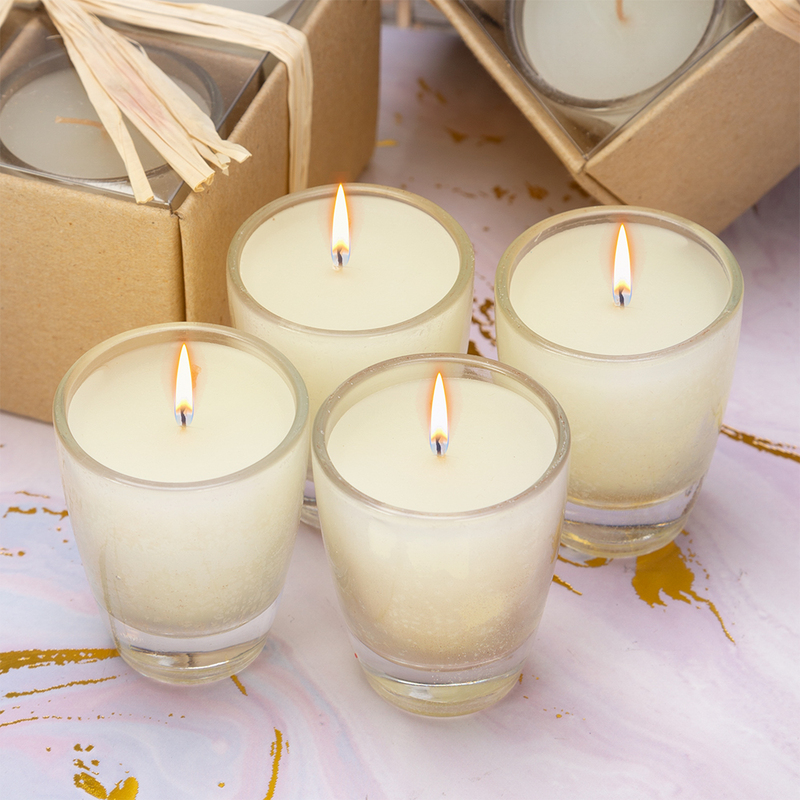 Candlelight Co. understand this, which is why they make a stunning range of candles to create a charming ambiance in your home - or for living the medieval, electricity-free life you’ve always dreamed about. Cast a magical mood in your living space with the Vanilla Room Scenters Pack. Housed in a small gift box, this pack includes four vanilla-scented candles, each one housed in a small glass jar. Regardless of the occasion, these candles will give your home an enchanting ambiance. Each candle is housed in a small glass jar. Presented as a pack of four in a small gift box. Gift Box Dimensions: 9.5cm (l) x 5.5cm (h) x 9.5cm (w).